Located along Kolkatta’s Salt Lake, De Sovrani features a fitness center, an outdoor pool and 24-hour room service. Complimentary WiFi access and parking is provided. The property is 2 Km from Karunamoyee Bus Station. It is within 3.1 mi of Kalighat Temple and Victoria Memorial. Howrah Railway Station is 10.5 Km away, while Netaji Subhash Chandra Bose International Airport is 11.7 Km away.Rooms are air-conditioned and feature a flat-screen TV, an electronic safe and a mini-bar. The private bathroom comes with a hairdryer, as well as hot and cold water supply. 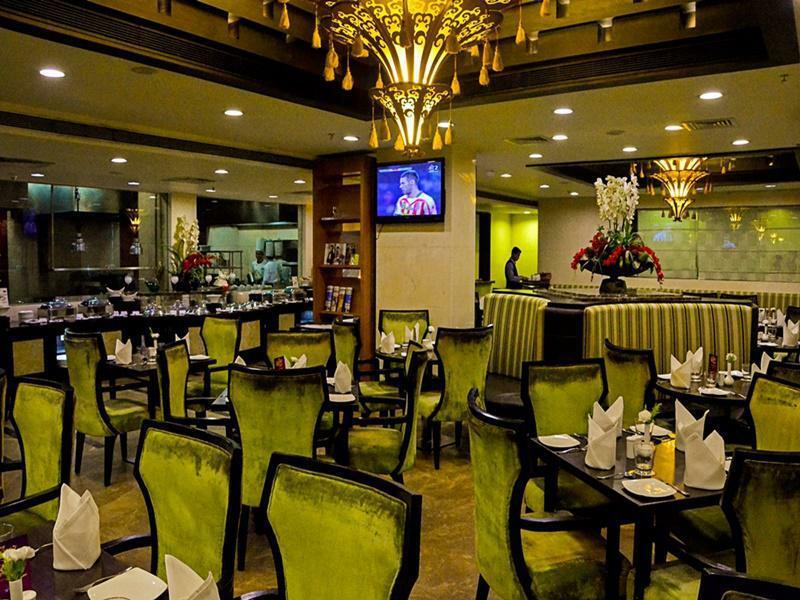 Sand, the open kitchen restaurant serves Indian delights alongside international favorites. A selection of spirits, cocktails and mocktails are offered at Library Pub. Guests can head to the 24-hour front desk for assistance with luggage storage, laundry and currency exchange services. Travel arrangements can be made at the tour desk.